For an authentic dining experience, check out the new kid on the dining block. THE restaurant is airy, situated on the 6th floor of Pavilion Kuala Lumpur. The first thing you notice are the wine racks set above the wide expanse of marble counter. As you walk into Spasso Milano, you will see row upon row of Italian food products to the left of the central counter. “We decided to try the retail dining concept because our customers in Penang kept asking to buy our hams and pastas,” declared the owner, a former hotelier who prefers to remain unnamed. The Spasso in Penang opened five months prior to this one, which opened in December last year. There was a large expatriate clientele up north, and they would ask about the ingredients of the dishes they were served. “We use unique and authentic Italian ingredients to cook with, so we thought why not sell them as well, since there was a demand. Customers even ask about the risotto rice we use, which we now sell at the restaurant,” says the owner, a trained chef who has worked up the ranks in the hotel line and managed numerous restaurants in his career. His eateries in both Penang and Kuala Lumpur are, however, helmed by executive chef Felice Martinelli. “I think the food and beverage line is something you need a lot of passion for. Felice and I both believe that food should always be made from scratch. There are no shortcuts,” he says. Martinelli agrees. He is adamant about offering only the best and most authentic Italian dishes to customers. When they opened the restaurant in Ampang (which lasted a year before they shut it down to open in Pavilion Kuala Lumpur), it was a halal restaurant. This time around, they made the decision to go with non-halal to maintain the authenticity of some of their dishes. “Pork valdostana has to be pork valdostana,” Martinelli says. Both executive chef and owner are of one accord when it comes to authenticity. “We looked all around Pavilion, and saw that there is a good selection of halal and non-halal restaurants for customers. 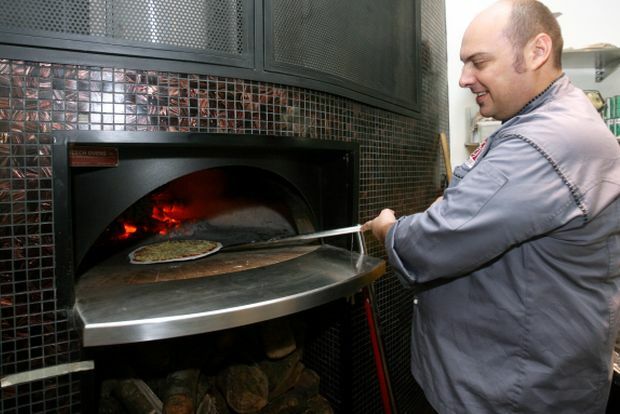 We decided to make our restaurant non-halal, as it was the only way for us to offer an Italian dining experience that was as close to authentic as possible,” he says. At Spasso Milano, there is an extensive wine list for customers. They import almost all their ingredients, such as cured meats and pastas. Everything else is made to their specifications by a local supplier. Martinelli believes in honest food and that is what customers come here for. There is attention to detail in every dish. He orders up a few dishes for us to try. The scamorza affumicata and speck pizza, which is cooked in a wood-fired oven, is heavenly. The smoked scamorza cheese blends seamlessly with the air-dried ham to create a burst of flavours in the mouth. The risotto alla monzese is light and fragrant, with the bright saffron colour and creamy texture giving all senses a treat. This is a dish worth a repeat order any time. 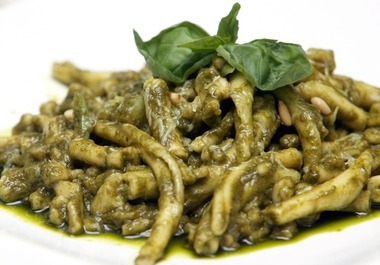 The al Pesto pasta is cooked al dente, the way pasta should be cooked. The owner interjects at this point that sometimes customers need to be educated about pasta cooked al dente. “There are some customers who send their pasta back and tell us it’s uncooked. We explain to them that it’s cooked the way it’s supposed to be. So now, we will ask our customers whether they want it al dente or well done,” he says. Then we’re served the aforementioned pork valdostana, which is a superb dish. The pork escalope is cooked to perfection – it is tender and tasty, and the accompanying pasta is lightly tossed with garlic. Finally, we’re served a platter of cold meats with melon, which is Martinelli’s personal favourite. All the meats are imported and sliced paper thin. Martinelli grew up in Italy, working for his family’s salumeria e gastronomia (delicatessen) from the age of 12. When he grew up, he ran a cafe for 15 years in Italy and then worked in a Thai restaurant in the Maldives for six years before coming to Malaysia. The menu at the restaurant offers what you would expect from the country kitchens of Italy. “We kept everything as traditional as possible. If it’s a pasta carbonara, we would have made it with the traditional recipe,” says the owner. He believes in offering his customers value for money. To him, value is not about price. It’s about what customers get for the money they pay. Spasso Milano offers an à la carte menu as well as the anti-pasti lunch buffet priced at RM28++. There are 160 items on the buffet. There is also a Roast Of The Day at lunch, priced at RM18++ per person.